Kurt Albert is one of the leading European Tap Dancers with 30 years of experience in international showbusiness. He was fortunate to learn the art of American Rhythm Tap from authentic masters like Carnell Lyons (Kansas City, NYC, Berlin), Brenda Bufalino (NYC) and Buster Brown (NYC), who are his main influences. He although took workshops from Honi Coles, Cholly Atkins, Jimmy Slyde, Sarah Petronio, Steve Condos, Eddie Brown, Fred Kelly, Prince Spencer, Cookie Cook, Fay Ray and Leonard Reed. 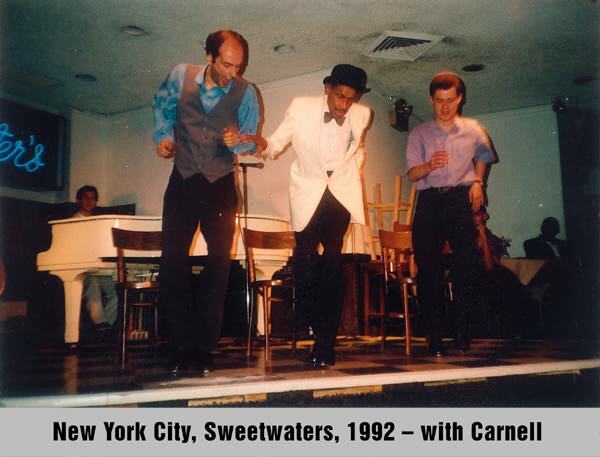 He was a member of Brenda Bufalinos “International Tap Dance Orchestra”, and since 1990 he has regularly been sharing the stage with Carnell Lyons, Brenda Bufalino and Josh Hilberman. 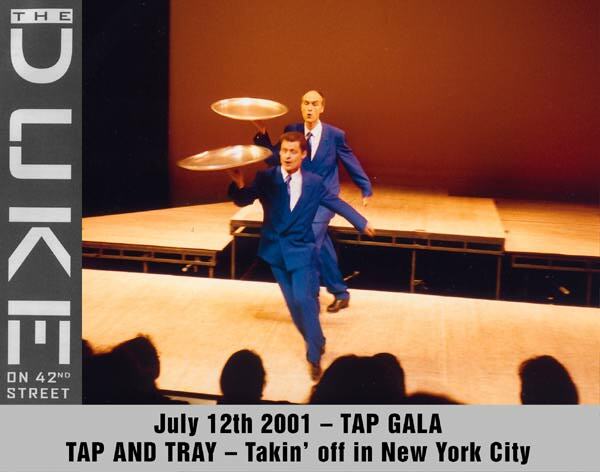 For over thirty years he has been dancing with his partner Klaus Bleis in Germany’s best known tap duo “Tap and Tray” with international appearences in USA and throughout Europe. Kurts credits include the New York City “Tap City” Festival (2001, 2003, 2006 und 2014), the Chicago Human Rhythm Project, the North Carolina Tap Festival, the Moscow “Tap Parade”, the Helsinki Tap Festival and the Rennes Tap Brezze Festival (France), the ARD TV Sportsgala, the “Jazzfestival on Sea”, “Rapsody in Taps” Los Angeles, the Toulon Jazz Festival and many performances in Jazz Clubs throughout Germany. For more details and current dates of Tap and Tray workshops and performances see dates below. Kurt Albert is one of the leading European Tap Dance artists, with thirty years of experience in international Show Business. He has been teaching tap since 1989 in Nuremberg and teaches workshops throughout Europe and the USA. Kurt has taught in workshops in New York City, Los Angeles, Boston, Kansas City, North Carolina and Porthmouth, New Hampshire. The most recent greater teaching event and performance – together with his dance partner Klaus Bleis – was at at the New York City “Tap City” Festival 2014. In his teaching program he instructs the basics of rhythm and tap technique from beginner to advanced levels and teaches his own choreographies as well as the original dances of his mentor, the late Tapmaster Carnell Lyons (known for his exceptional authenticity and earthiness in the Kansas City Style). In addition, he owns one of Europe’s most extensive Tap video collections. With the pictures of all the great Tap dance artists of the Tap Renaissance that he took over the years he did set up a huge, extraordinary Tap Picture exhibition in 2004, which is easy to transport. Thus it can easily be shown any place. Kurt’s lessons profit from his many years of stage experience and his comprehensive knowledge of tap history, which he likes to show in video lectures.